"At last we will reveal ourselves to the Jedi. At last we will have revenge. " As for Nitro: I am sorry, old friend. When you return everything will be handed back over to you. You're still the Emperor we believe in. Come home, Darth Nitro. Welcome to the Dark Lords of the Sith website! 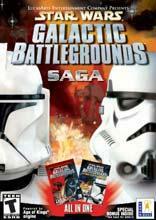 DLS began as a Star Wars: Galactic Battlegrounds clan on the MSN Gaming Zone. Shortly thereafter, we expanded into a successful multi-gaming clan, adding numerous games to our line-up. At one point, we were involved with virtually every Star Wars game on the market. Since the collapse of the Zone our clan has run across tough times. We are all the remains of the SWGB Legacy. Only recently have we re-surfaced on the gaming scene. We have a handful of fantastic members to thank for that feat. Our primary objective is to create a gaming community dedicated to having fun and building strong friendships. Our community is heavily focused around our forum. On the forum, many members with different interests mingle with one another. Common ground, not always related to Star Wars, is often established, and new friendships are formed. We are always thrilled to accept new members to our community and to our clan. If you’d like to become a member or just learn more about us, please feel free to post on our forum’s Guest Discussion board or register an account with us. We'd be more than happy to answer any of your questions. Our clan embraces dark side and the ways of the Sith: Passion - Strength - Power - Victory. We are the rulers of the Sith Empire. Vist us on GameSpy Arena!